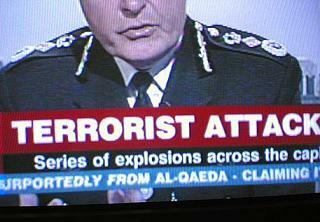 Eleven Years Ago: The London 7/7 Mock Terror Drill: What Relationship to the Real Time Terror Attacks? July 7, 2005, eleven years ago, the London 7/7 bombings. Was there advanced knowledge of the attacks? Was it a conspiracy? 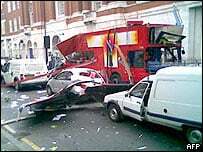 A fictional « scenario » of multiple bomb attacks on London’s underground took place at exactly the same time as the bomb attack on July 7, 2005. There was nothing « routine » in the so-called « walk through » scenarios. Visor’s mock terror drills (held on the very same day as the real attack) was by no means an isolated « coincidence ». Power’s email response suggests that mock drills are undertaken very frequently, as a matter of routine, and that there was nothing particularly out of the ordinary in the exercise conducted on July 7th, which just so happened to coincide with the real terror attacks. There have indeed been several documented high profile cases of mock terror drills in the US and the UK, held prior or on exactly the same day and at the same time as the actual terror event. In the three previous cases reviewed below, the mock drills bear a canny resemblance to the real time terror attacks. On the morning of September 11 2001, within minutes of the attack on the World Trade Center and the Pentagon, the CIA had been running « a pre-planned simulation to explore the emergency response issues that would be created if a plane were to strike a building ». The simulation was held at the CIA Chantilly Virginia Reconnaissance Office. The news concerning the 9/11 Chantilly aircraft crashing simulation was hushed up. It was not made public at the time. It was revealed almost a year later, in the form of an innocuous announcement of a Homeland Security Conference. The latter entitled « Homeland Security: America’s Leadership Challenge » was held in Chicago on September 6, 2002, barely a few days before the commemoration of the tragic events of 9/11. 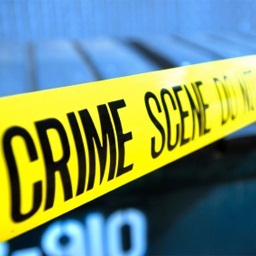 The promotional literature for the conference under the auspices of the National Law Enforcement and Security Institute (NLESI) stated what nobody in America knew about. On the morning of 9/11, the CIA was conducting a pre-planned simulation of a plane striking a building. One of the key speakers at the National Law Enforcement and Security Institute conference was CIA’s John Fulton, Chief of the Strategic War Gaming Division of the National Reconnaissance Office a specialist in risk and threat response analysis, scenario gaming, and strategic planning. The fire and smoke from the downed passenger aircraft billows from the Pentagon courtyard. Defense Protective Services Police seal the crash sight. Army medics, nurses and doctors scramble to organize aid. 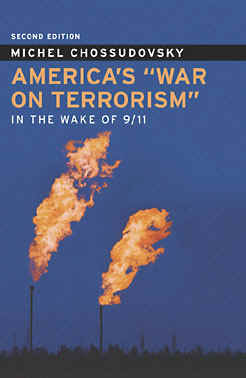 (…) Don Abbott, of Command Emergency Response Training, walks over to the Pentagon and extinguishes the flames. The Pentagon was a model and the « plane crash » was a simulated one. In Britain, there were several documented exercises of terror attacks on London’s underground system. In addition to the 7/7 exercise conducted by Visor Consultants, a similar mock terror drill on London’s transportation system entitled « Atlantic Blue » was held in April 2005, barely three months prior to the real attacks. In 2003, a mock terror drill labelled OSIRIS 2 was conducted. It consisted, according to Peter Power in testing the « equipment and people deep in the Underground of London ». It involved the participation of several hundred people. (Interview with Peter Power, CTV, 11 July 2005). « Atlantic Blue » was part of a much larger US sponsored emergency preparedness exercise labelled TOPOFF 3, which included the participation of Britain and Canada. It had been ordered by the UK Secretary of State for the Home Department, Mr. Charles Clarke, in close coordination with his US counterpart Michael Chertoff. The assumptions of the Visor Consultants mock drill conducted on the morning of July 7th were similar to those conducted under « Atlantic Blue ». This should come as no surprise since Visor Consultants was involved, on contract to the British government, in the organisation and conduct of Atlantic Blue and in coordination with the US Department of Homeland Security. As in the case of the 9/11 simulation organized by the CIA, the July 7, 2005 Visor mock terror drill, was casually dismissed by the media, without further investigation, as a mere « coincidence », with no relationship to the real event. Foreknowledge of the 7/7 Attack? 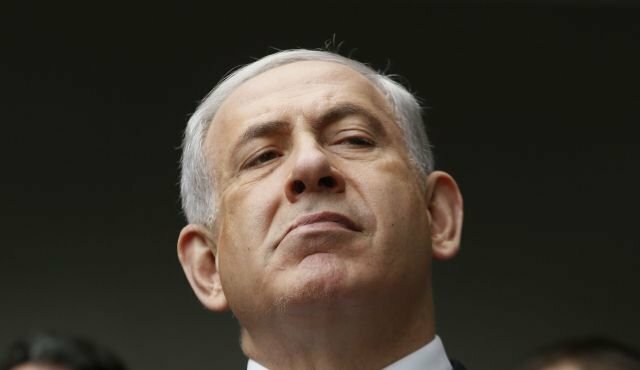 Israeli Finance Minister Benjamin Netanyahu was warned by his embassy not to attend an attend an economic conference organized by the Tel Aviv Stock Exchange (TASE) in collaboration with the Israeli embassy and Deutsche Bank. After 9/11, D’Amuro was appointed Inspector in Charge of the FBI’s investigation of 9/11. He later served as Assistant Director of the Counterterrorism Division at FBI Headquarters and, Executive Assistant Director for Counterterrorism and Counterintelligence. D’Amuro had close links to the Neocons in the Bush adminstration. It is worth noting that Visor Consultants and Giuliani Security and Safety LLC specialize in similar « mock terror drills » and « emergency preparedness » procedures. Both Giuliani and Power were in London at the same time within a short distance of one of the bombing sites. While there is no evidence that Giuliani and Power met in London, the two companies have had prior business contacts in the area of emergency preparedness. Peter Power served on the Advisory Board to the Canadian Centre for Emergency Preparedness (CCEP), together with Richard Sheirer, Senior Vice President of Giuliani and Partners. who was previously Commissioner at the NYC Office of Emergency Management, and Director of New York City Homeland Security. One should not at this stage of the investigation draw hasty conclusions regarding the mock terror drill of a terror attack on the London underground, held on the same day and at the same time as the real time attacks. The issue cannot, however, be dismissed. One would expect that it be addressed in a serious and professional fashion by the police investigation and that the matter be the object of a formal clarification by the British authorities. The issue of foreknowledge raised in the Associated Press report also requires investigation. More generally, an independent public inquiry into the London bomb attacks is required.